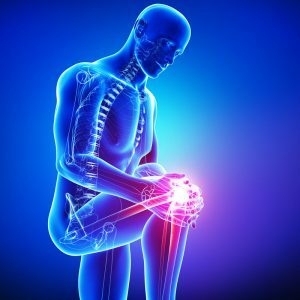 Knee pain is considered a common problem that originate in any of the bone structures affecting the femur, tibia, fibula, the knee cap, or the ligaments as well as cartilage (meniscus) of the knee. Knee pain affects people of all ages. Most of the knee pain respond perfectly to self-care measures. But physical therapy and knee bracing can help relieve knee pain. Baker’s cyst: This is fluid-like swelling found behind the knee that is accompanied by swelling from other causes such arthritis. Torn Ligament (ACL tear): Leads to the instability of the knee. Your back pain Seattle doctor will begin asking questions on the history of the patient’s knee pain followed by a physical examination. The examination will include bending the knee through the full range motion to check for stability of the ligaments and look for any tenderness and swelling. The doctor may want to do a further examination of the problem; therefore the following tests may be carried out. Radiologic tests: These include plain X-ray to establish fractures and degenerative changes of the knee. An MRI scan may also be used to evaluate the soft tissues of the knee. Blood tests may be carried out if medical conditions such as gout or arthritis are suspected. Removal of joint fluid (arthrocentesis). This involves removal of a small amount of fluid from the knee joint. The fluid is then examined and evaluated. This procedure is important if the back specialist Seattle doctor suspects that there is an infection in the knee joint. Medications where over-the-counter drugs are prescribed to treat the underlying condition. Physical therapy: This includes exercises to strengthen the knee muscles will make it more stable and offer better mechanical movements. Injections: Injection of medications directly into the knee helps relieve pain. The most common form of injections is corticosteroids and lubricants. Corticosteroids help in arthritis and other forms of knee inflammations. Lubricants contribute to improving the movement of the knee. Surgery: In severe cases of knee pain, knee surgery is recommended. Knee surgery ranges from arthroscopic knee surgery to total knee replacement. Arthroscopic knee surgery allows the physician get a clear view of the inside part of the knee using a fiber optic camera. The physician can then repair the injuries by removing the small pieces of loose bones or cartilage. Partial knee replacement involves the replacement of the damaged portions of the knee with plastic and metal parts. This procedure has a shorter recovery. Total knee replacement is the replacement of the knee joint with an artificial joint.